Camping alone isn't as fun as bringing that special person with you, and to make sure you actually enjoy your time together, you'll want to have the best cot that sleeps couples COMFORTABLY on this trip. So let us walk you through the highest value options for the love birds who want to experience nature together! When you're camping with your special person, there is such a thing as being "too close". If you're on a 10 mile trek in the beginning or end of summer, the last thing you want to do is try to sleep when you're sticky and hot, next to someone else who's sticky and hot. Ultralight is not the way to go here. So bunkbed cots are a great alternative for couples who need separate beds, or if you don't have room for a larger bed. You get to sleep in the same footprint size, but you each have your own space to get a good night's sleep. However, if you're in the dead of winter, and you are taking advantage of these conditions to get a little extra spooning in, there are cots for that as well! Sleeping on a twin sized bed is what most of these outdoor beds feel like, but there are XL and XXL options that hold up to 600+ lbs. So spoon away! Speaking from experience, if you're in a cot﻿ as a ﻿side sleeper with a back sleeper, there's a war that is waged over space distribution! So look at these seemingly small details before you jump out and spend a few hundred dollars on a camping cot that might not work for you as a couple. This was touched on briefly in the space section, but it bears repeating in order to help you make the best decision, and that's the season you're going camping during, even if you're truck camping. A little bit of foresight goes a looooong way when planning for comfort on one of these trips. It could also be the difference between a great memory for the rest of your lives, and something neither of you want to think about ever again! Now a winter camping trip is completely different! You want to focus on insulation with minimal air flow in order to stay warm and comfortable. Breathable insulation traps the heat coming off of your bodies to keep you warm, but doesn't suffocate you in that heat. Finding the right fit for you both is going to be a tall order. 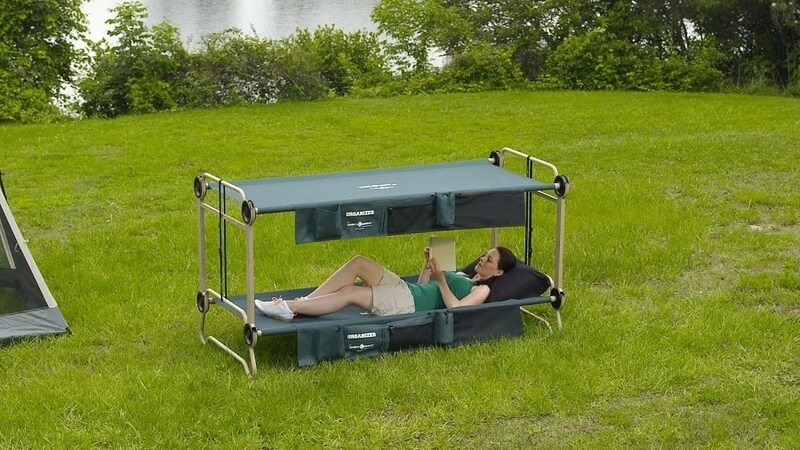 If you're a side sleeper couple on a camping trip, this is the cot for you two! The Teton XXL can hold up to 600 lbs, is over 7 feet long, and almost 4 feet wide. So you shouldn't be hanging over the edge on either end with this bad boy! 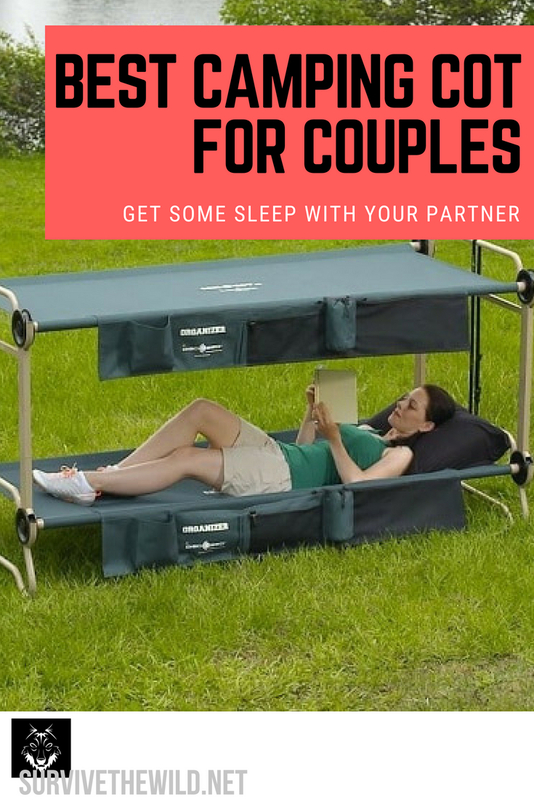 For all other situations when you're on a camping trip as a couple, the experience we've had with these cots tells us that this is the only way to satisfy two different sleepers and save space. The large bed from Disc-O is a God send! With over a 500 lb weight limit, and roughly the size of a twin mattress, this camping cot is a great choice for two folks who want to enjoy the outdoors together. ​It's incredibly easy to assemble, and packs away into a zip-able pouch. Click here for more information.